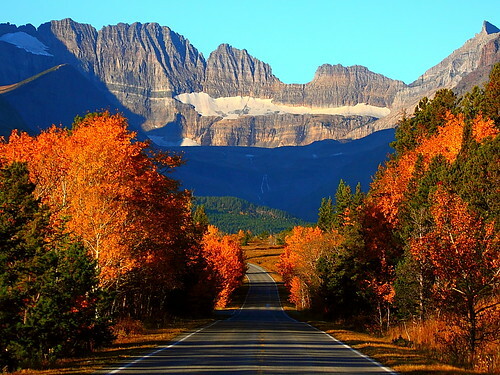 America’s national parks are home to some of the nation’s most spectacular scenery, and many of them become even more magnificent during the autumn season. These especially breathtaking national parks to visit for fall colors make for an ideal post-summer vacation destination, including Colorado, pictured above. It’s renowned for its gorgeous display of Aspens that blanket mountains across the state with brilliant hues of golden bronze and dazzling yellow. This beautiful park in Tennessee is home to over 130 different tree species, many of which produce impressive autumnal hues. Peak foliage viewing typically occurs from late September to mid-October. Virginia’s Shenandoah National Park is home to the spectacular 105-mile Skyline Drive, one of the most scenic drives across the country, particularly during the autumn months. The vivid yellow and gold colors on the aspen and larch trees in Montana’s Glacier National Park run through mid-October covering the trails around the park, particularly along Summit Trail. Acadia National Park in Maine has often been declared the east coast’s most breathtaking region for fall foliage. Peak time for leaf peeping is typically around mid-October. Many say fall is the very best time to visit Yosemite National Park, with fewer crowds, crisp autumn air and spectacular foliage that highlights the park’s already magnificent scenery. In the fall, the leaves of the dogwood tree turn beautiful shades of pink and magenta, while other colorful trees include broadleaf maples, oaks, cottonwoods and aspen.